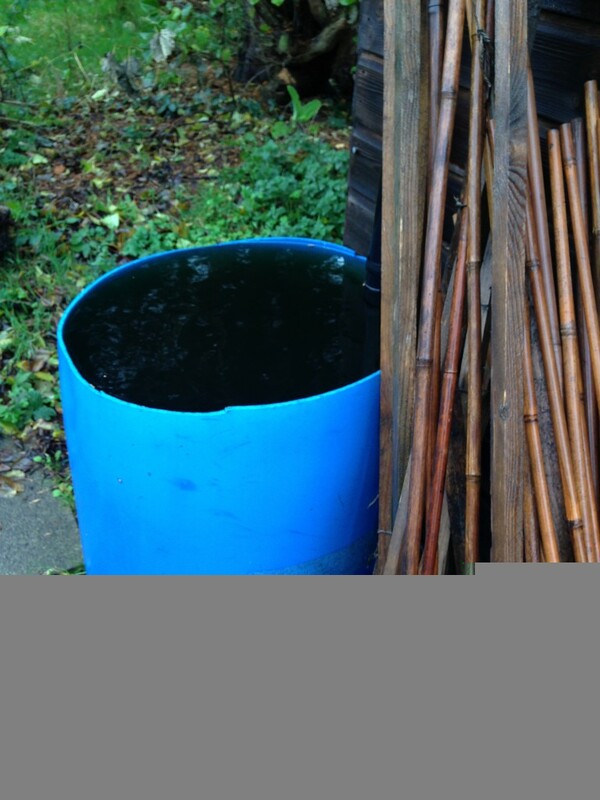 It’s soggy but unseasonably warm, which is an irritating combination: the ground is too water-logged to go and work on it, and in the meantime the weeds are still growing. I want a good hard frost, but no such luck. The greens I sowed last spring are STILL coming, it’s staggering. 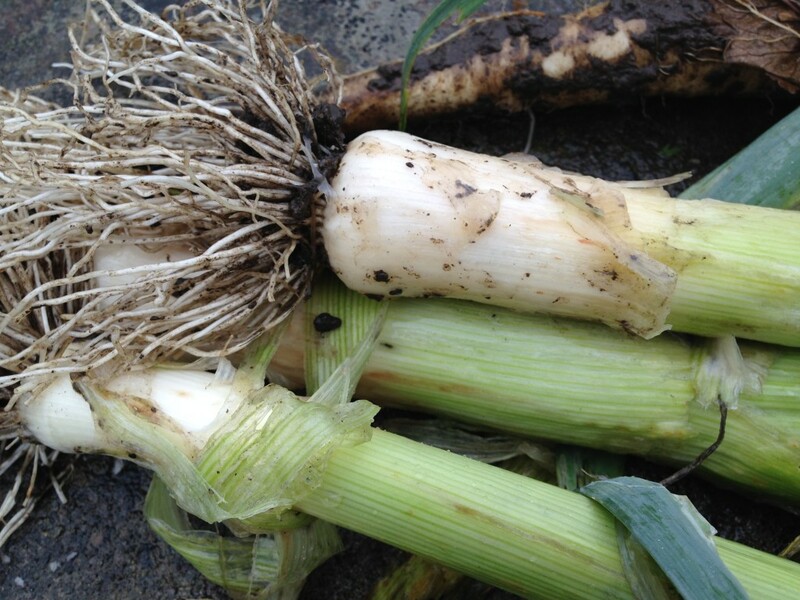 Prime of them is this variegated chicory, its bitter leaves perfect for autumn salads with cheese and nuts. 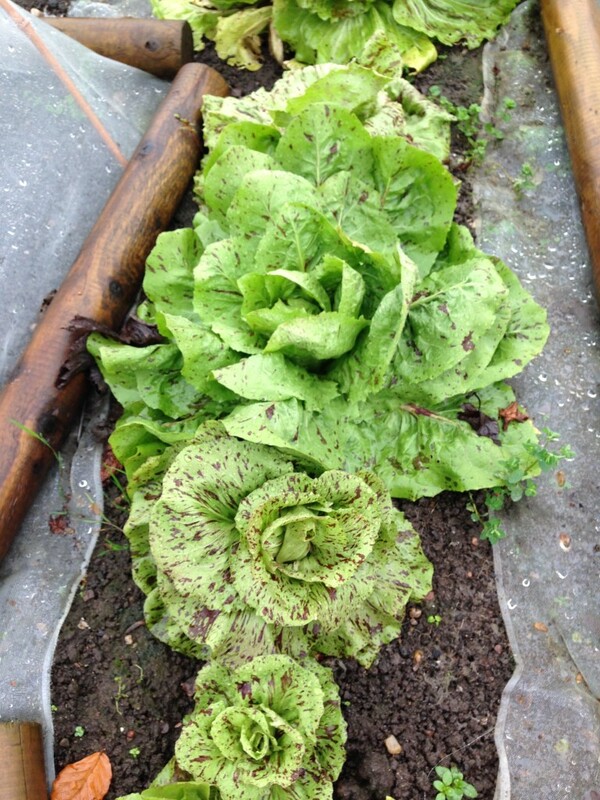 The other winter lettuce is doing well, though the slug damage continues. 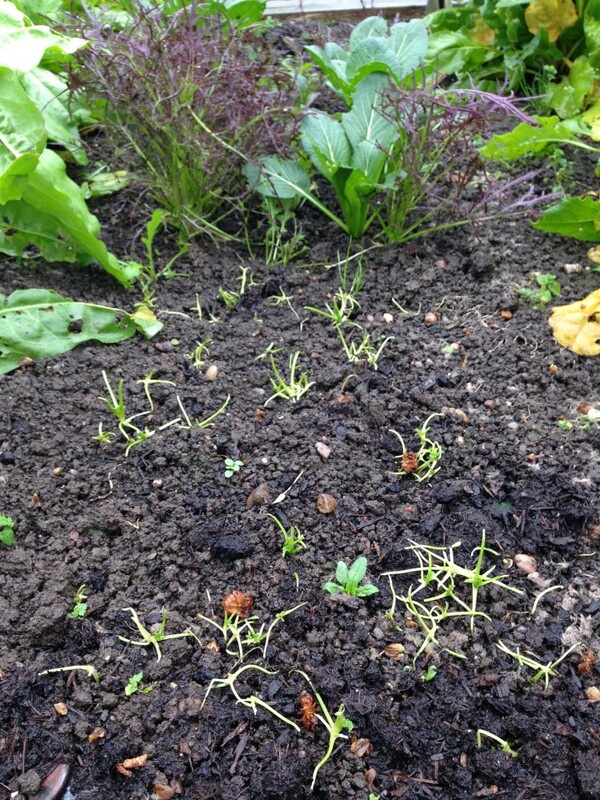 The slugs never give up: winter lettuce decimation! 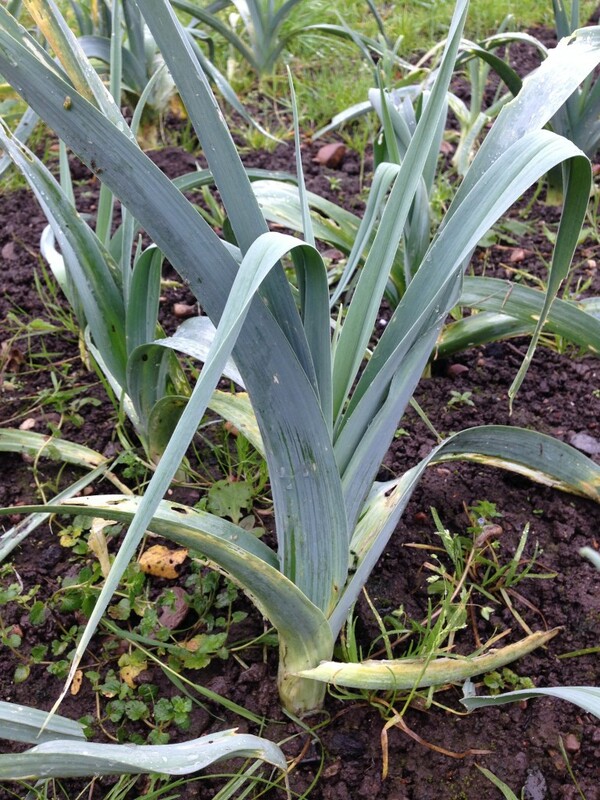 On the rain-soaked allotment there wasn’t a soul to be seen. The birds are still taking their fill, stocking up on hips, haws, seeds and berries. Meanwhile I came home smeared in mud, with wet feet and frizzy hair. The winter lettuce mix I grow has mustard spinach at its heart. It’s a robust leaf, more like a Chinese green than a lettuce. Despite its moniker it feels wrong to saute it with olive oil or butter: this is a leaf that cries out for Eastern flavours such as soy, sesame and fish sauce. I’ve been batch cooking lately, making up pot-fulls of food for the freezer. Batch cooking usually brings to mind slow-cooked dishes – stews, bolognese, chilli, that kind of thing. But I also like to make up batches of Thai curry paste, freezing it in tablespoon-sized rounds. Then, when the mood arises, I simmer them straight from the freezer with coconut milk, fish sauce and lime for a fresh, zingy green curry – perfect to serve with stir-fried mustard spinach. This recipe for Thai green curry comes from a great little paperback, Thai Cookery Secrets by Kris Dhillon. There’s no pretty pictures, just solid recipes. 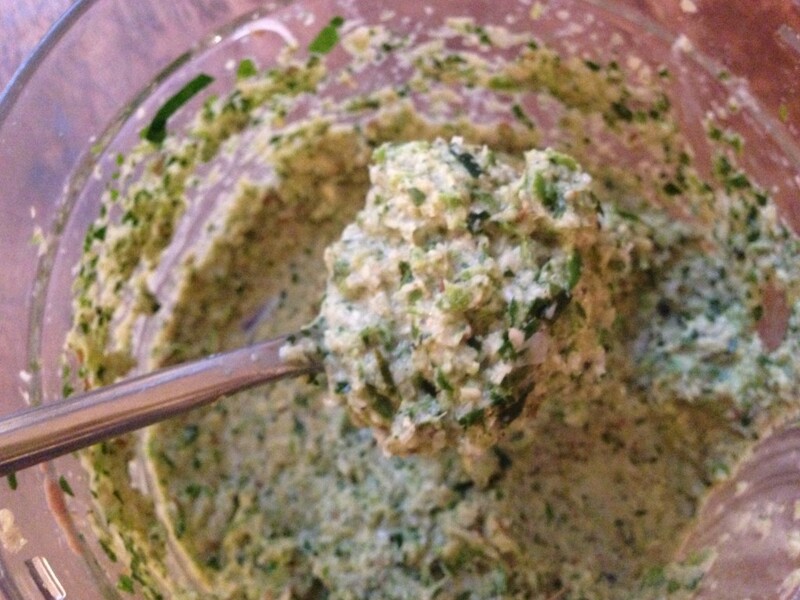 You’ll need a food processor – well, technically, you could make this in a pestle and mortar, but that would take a day so take my advice and use the chopper. First, toast whole cumin, coriander and black pepper in a dry frying pan until fragrant. Tip into a mortar to cool, then pound with the pestle until you get a fine-ish powder. Then take shallots, garlic, lemongrass, green chillies, lime leaves and ginger, roughly chop all of them, and put into the food processor with a scant teaspoon of shrimp paste. These chillies are from my greenhouse (I’ve been storing them in the freezer), but really you should use Thai green chillies. The lime leaves came frozen from an Asian supermarket – dried ones don’t cut the mustard so if you can’t get fresh or frozen, substitute with fresh lime zest. 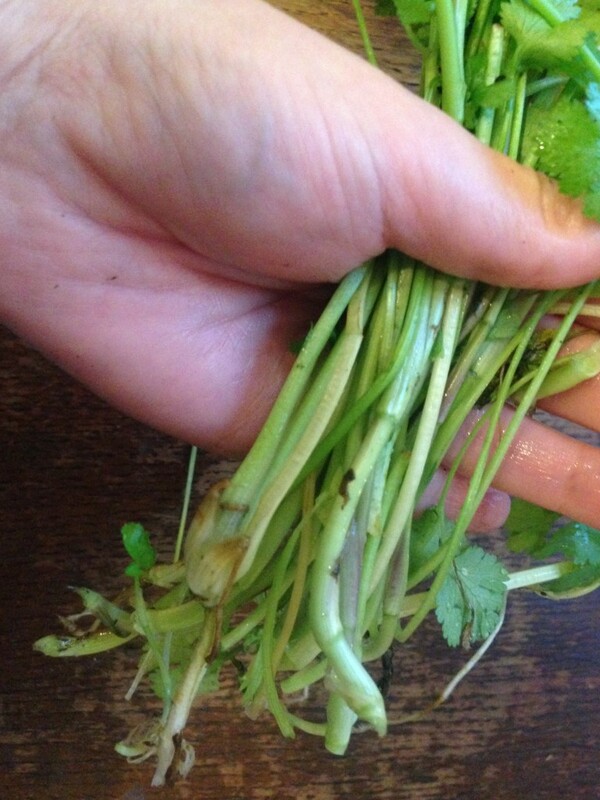 Now we need coriander – not the leaf, but the roots and base of the stems. This is much easier if you grow your own or use one of those pots of herbs from the supermarket. Then just whizz it up to a paste with a splash of water or oil and a good pinch of salt. I’m a wimp so I don’t use so many chillies – the more you use, the greener the paste will be. Once it’s smooth, use straight away or freeze in tablespoon-sized dollops on greaseproof paper before transfering to a freezer bag. The finished paste can then be used to make a quick curry: fry the paste in oil until fragrant, add coconut milk and simmer for five minutes before seasoning with fish sauce, lime juice and palm sugar. Add chicken, prawns and/or vegetables of your choice, simmer for a few more minutes then serve. Rich, tasty, warming food. 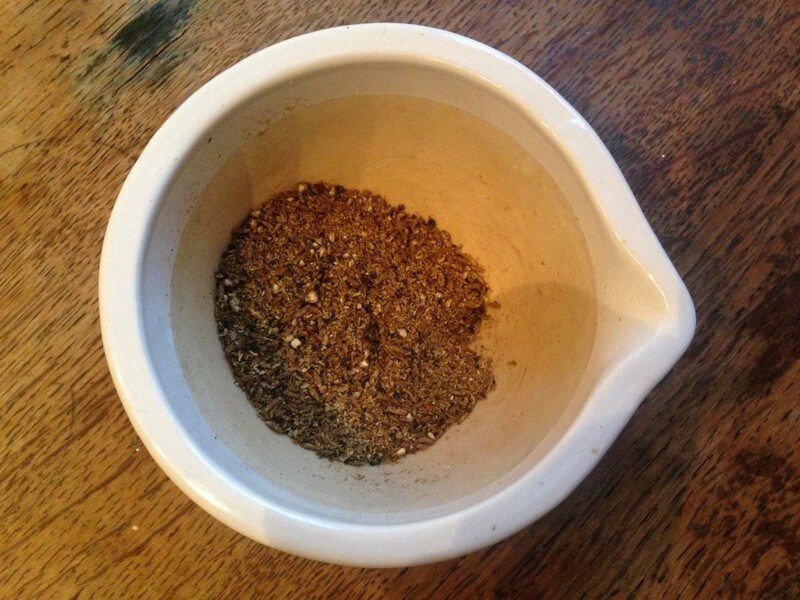 Toast the spices in a dry pan, transfer to a mortar and pestle and bash until ground. Roughly chop all other ingredients (except shrimp paste and salt) and add them to the food processor. Whizz to a paste, adding a splash of water or oil if it’s too dry. Add the shrimp paste, salt and spices and whizz again. To freeze: Line a freezer-proof tray with greaseproof paper. Dollop tablespoons of paste onto the paper then freeze. When firm, transfer to a freezer bag. Use within six months or so. 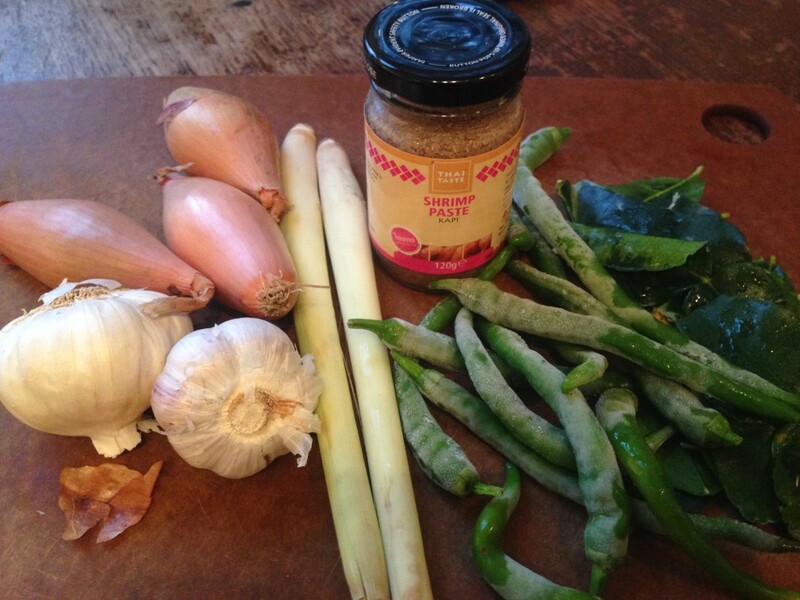 To make into Thai green curry: Saute 1 tablespoon of paste in oil until fragrant. Add a tin of coconut milk and simmer for five minutes. Add chicken, prawns and vegetables of your choice – remember, less is more. Season with fish sauce, lime juice and palm sugar. Taste – adjust seasoning as needed. Add sliced basil, simmer for a few more minutes, then serve. For a richer dish, use coconut cream in addition to coconut milk. For a spicier dish, add more curry paste! 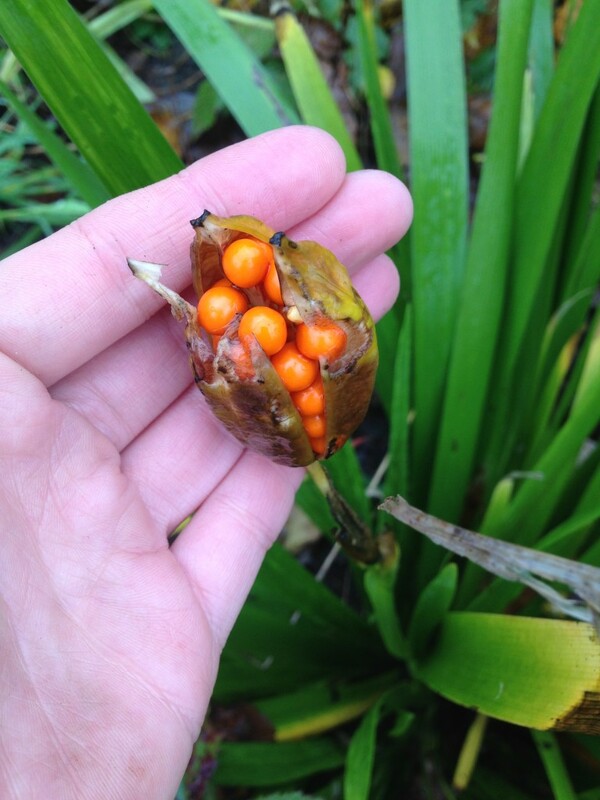 This entry was posted in Recipes, Savoury and tagged allium leaf miner, freezer, paste, Thai green curry. Bookmark the permalink.